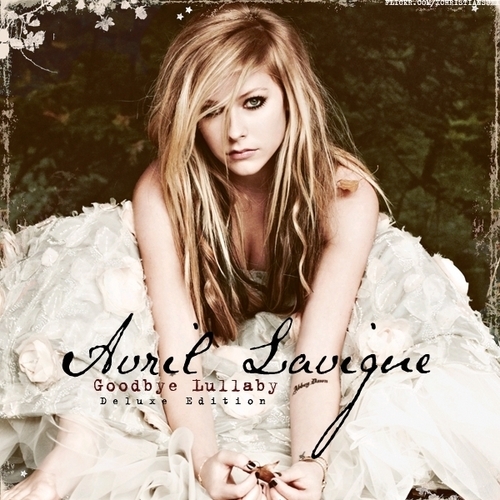 Goodbye Lullaby (Deluxe Edition) [FanMade Album Cover]. . Wallpaper and background images in the Avril Lavigne club tagged: avril lavigne goodbye lullaby deluxe edition fanmade album cover. This Avril Lavigne fan art contains picha, headshot, and closeup.